Smartphone sales in China are showing no signs of recovery, ending Q3 with 13% YoY decline according to Counterpoint’s Market Pulse Service. This performance continues the established trend and is driven by a mix of a gloomy macroeconomic outlook and weaker consumer purchase intentions . Chinese OEMs occupied the top five positions in 3Q’s top-selling charts, together accounting for over 78% market share in their home market. Among the top five brands, VIVO, Huawei and Honor grew against the trend and stood out by achieving a positive YoY performance. The sales volume of VIVO was up by 2% compared to same period last year, and for the first time it surpassed OPPO to become the sales leader in China controlling close to a 20% share of the market. Huawei and Honor enjoyed the strongest growth momentum—the dual brands both grew by 14% year on year and combined they captured close to 27% of the market. OPPO, was second overall with almost the same volume as VIVO, although OPPO’s sales volume had fallen by 11% YoY. Xiaomi, ranking 5th in the market, dropped by 15% YoY as the sales performance of its flagship Xiaomi 8 series fell short of market expectation in China. Apple was ranked 6th in China behind Chinese competitors in 3Q. Apple also declined by 17% YoY during the quarter due to the weak initial performance of the newly-launched iPhone XS series. A lack of clear innovation in products design and and functionalities compared to its predecessors and the high prices dampened the purchasing passion of Chinese consumers for the iPhone XS series . 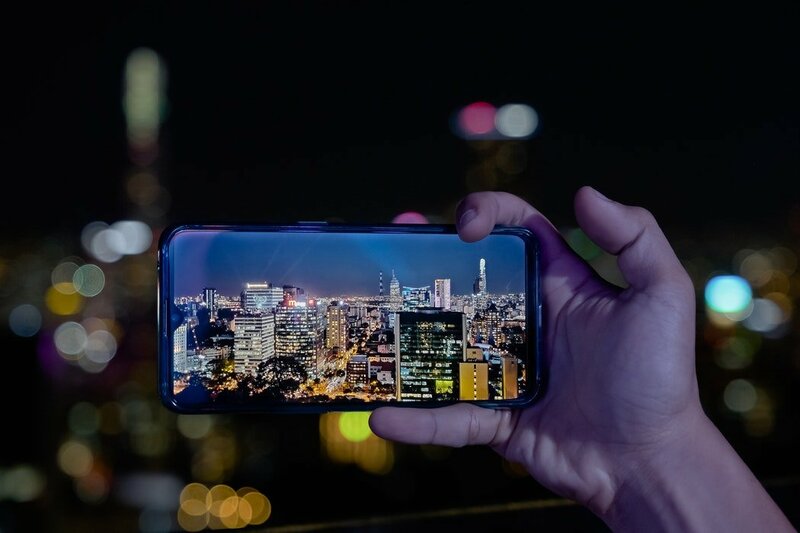 Entering the fourth quarter, the competition in China is getting more intense following the debut of annual “spotlights” such as Huawei Mate 20 series, Apple iPhone XR/XS series and Honor Magic 2. The market giants and their flagship models have just concluded the first battle in 4Q during the 11.11 Single’s Day Sales in China. According to the public data from e-commerce platforms, Honor and Apple were the winners during the Single’s Day Sales this year— Honor was the leader on JD.com in terms of both sales volume and sales value on 11th November, while Apple led on Tmall.com by sales value. As for cumulative sales from 1-11 November, Honor was the leader in terms of sales volume on both platforms (JD.com and Tmall.com) and Apple was the best performer by sales value. According to Counterpoint’s Market Pulse service, in 3Q 2018 (Exhibit 2), Huawei (including Honor) surpassed Apple to lead in the $400-$600 premium segment, taking a 43% share due to the popularity of Huawei P20 and Honor Note 10 series; Apple continued to lead the above-$600 super-premium segment with an increased share of 65%, driven by attractive channel promotions to push sales of iPhone X and iPhone 8 Plus before the launch of new iPhones in September. The share of Huawei in the super-premium segment also rose to 20% due to the popularity of the Huawei P20 Pro. We expect Huawei (including Honor), with its latest flagship models, Huawei Mate 20 and Honor Magic 2 series, to continue to lead in China’s premium market through the end of the year. Meanwhile, Huawei’s Mate 20 Pro is also expected to challenge Apple in the super-premium segment. Apple, by raising prices of its latest iPhones in 2018, is expecting to see growth in hardware revenue and profits, even sales volumes of iPhone XS and iPhone XS MAX combined turn out to be just equal to that of iPhone X alone last year. According to Counterpoint’s Model Sales Database, sales of the latest iPhones in the initial month after launch appeared plain compared to their predecessors. After channels offer discounts and price-cuts to stimulate market demand, sales of the iPhone XS MAX have started to ramp-up, but sales of iPhone XS remain feeble. 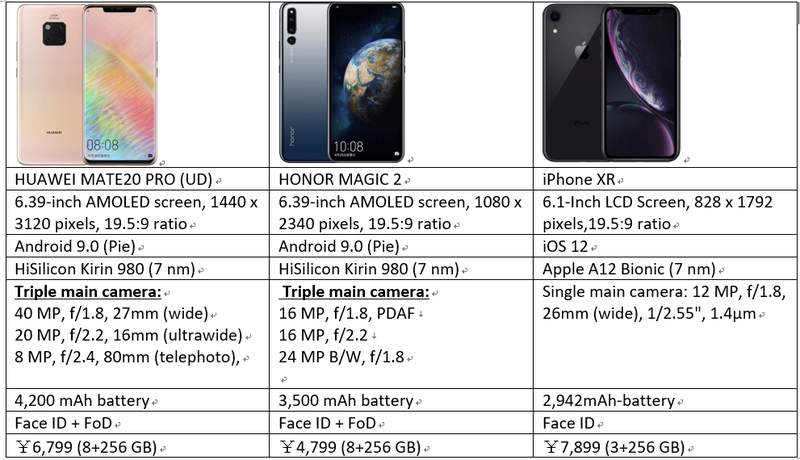 Apple expects the less-expensive iPhone XR to drive sales volume, but it is likely that iPhone XR, due to its limitations – single camera, 6.1-inch LCD display and non-compatibility with the Gigabit LTE communication technology— will be challenged by Huawei Mate 20 Pro, which is more aggressive in product design and innovation with the classic four-point headlight structure embracing the new Leica triple cameras at the back, and Honor Magic 2, which has specs on a par with premium flagship models such as the Huawei Mate 20 and iPhone XS, features AI triple cameras and a more intelligent YoYo digital assistant (details please see here). In the meantime, Xiaomi Mix 3, OPPO Find X and VIVO NEX are also providing different choices to consumers in the premium market. 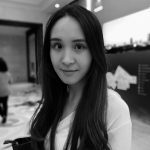 Flora is a Research Analyst at Counterpoint Research based out of Hong Kong. She started her career as an analyst for new market development with LeEco APAC, where she conducted market research regarding telecommunications, smart devices, internet and OTT business across APAC region. Furthermore, she moved to China Mobile International (CMI) to support globalization of the leading Chinese telecom giant, and help with strategic cooperation between CMI and global carriers. To pursue her line of interest in smart devices, IoT and mobile ecosystem, she joined Counterpoint Research team. In academics Flora holds a Master in Corporate Communications with the Chinese University of Hong Kong, and Bachelor of Law in International Relations and Regional Studies with Sun Yat-sen University.